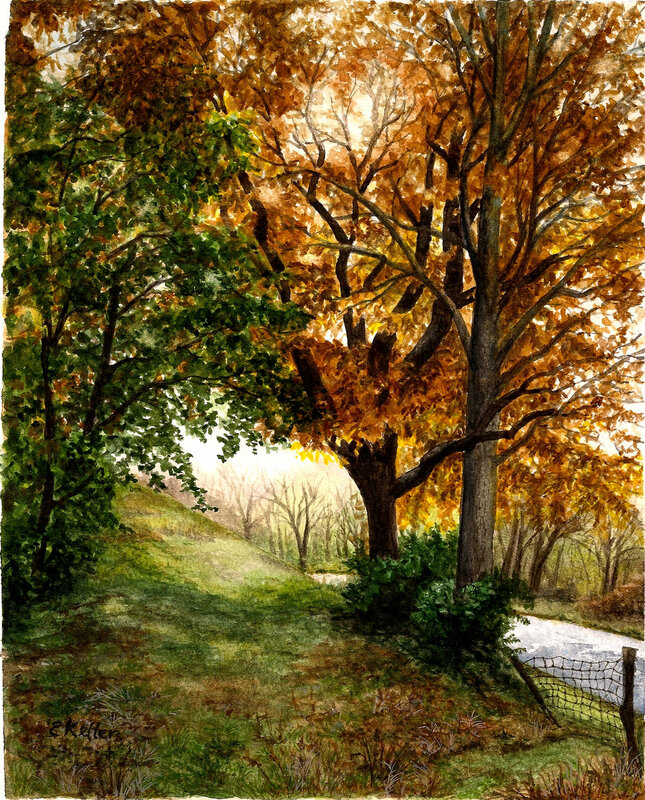 Artists will produce work over a ten month period on private lands permanently protected by the Brandywine Conservancy. The project will culminate in an art show and the locally grown celebration “Palette to Palate” on October 26, 2019. Ticket sales will begin in September. To celebrate the Great American Main Street Award, which the West Chester community received in 2017, 18 works by regional artists were chosen for reproduction on banners to be mounted on lamp posts on High Street, in downtown West Chester. My painting, "Fall Light" was selected for this exciting project, and currently hangs outside the Hotel Warner. Prints of all of the banners are also on view at The Art Trust in downtown West Chester.